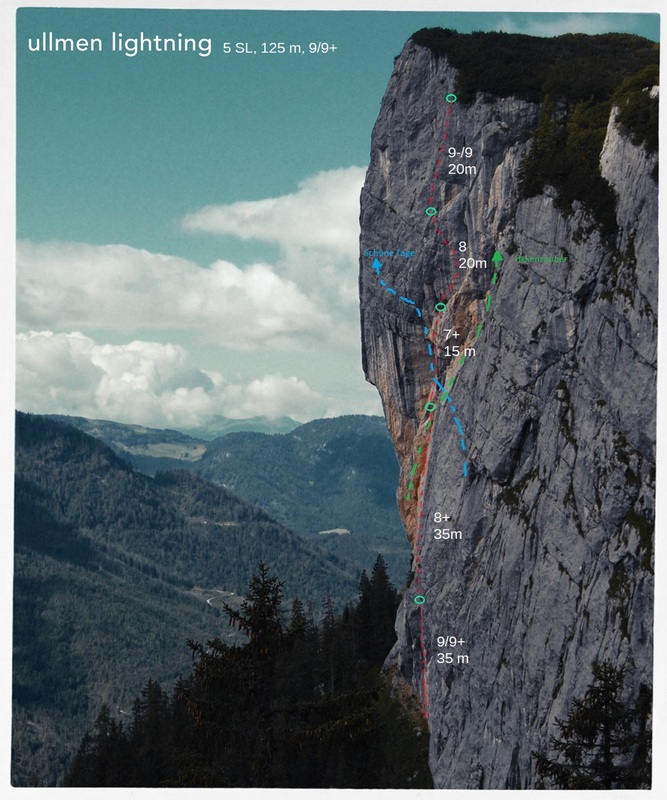 Very varied route in mostly solid rock. To the top it becomes steeper with some bulgs. For the first three pitches you need friends and nuts of medium size. The belays are drilled. So the first three pitches are g’salzn and the rest is sweet like sugar.